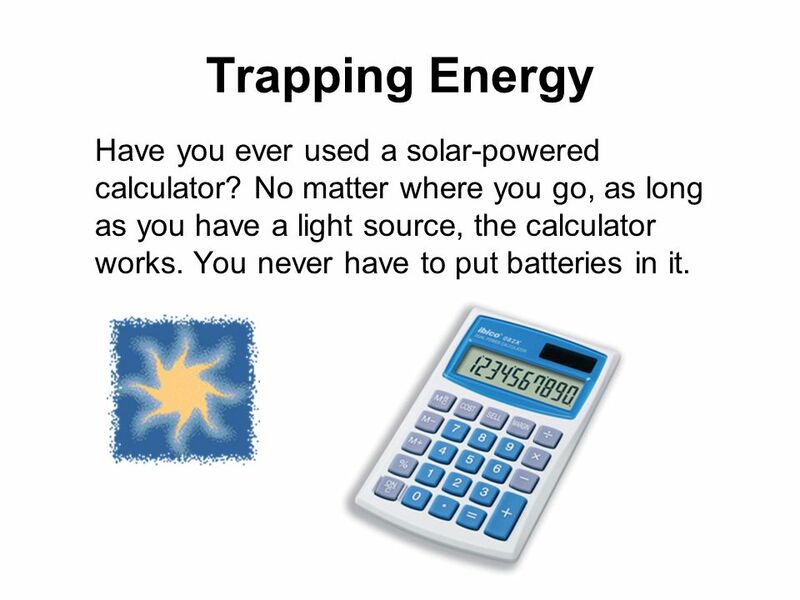 1 Trapping Energy Interest Grabber Section 8-2 Have you ever used a solar-powered calculator? No matter where you go, as long as you have a light source, the calculator works. You never have to put batteries in it. 1. A solar-powered calculator uses solar cells that are found in rows along the top of the calculator. 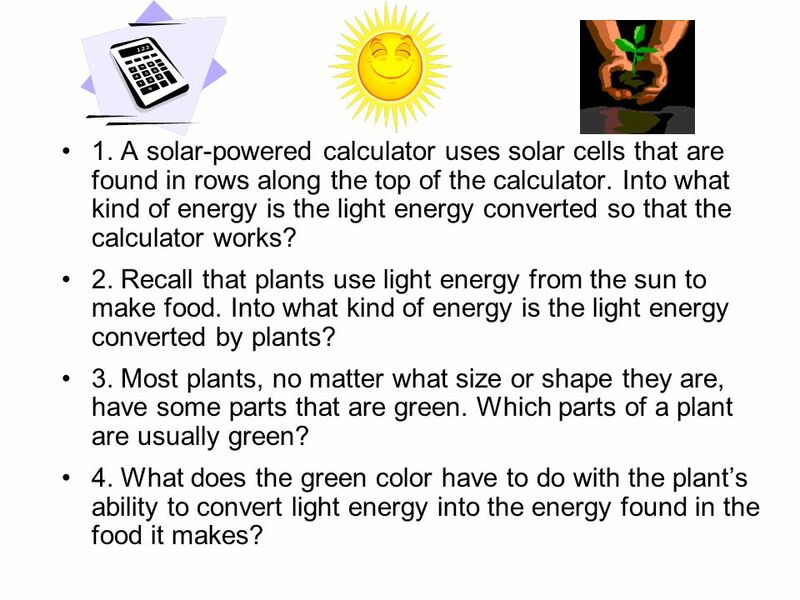 Into what kind of energy is the light energy converted so that the calculator works? 2. 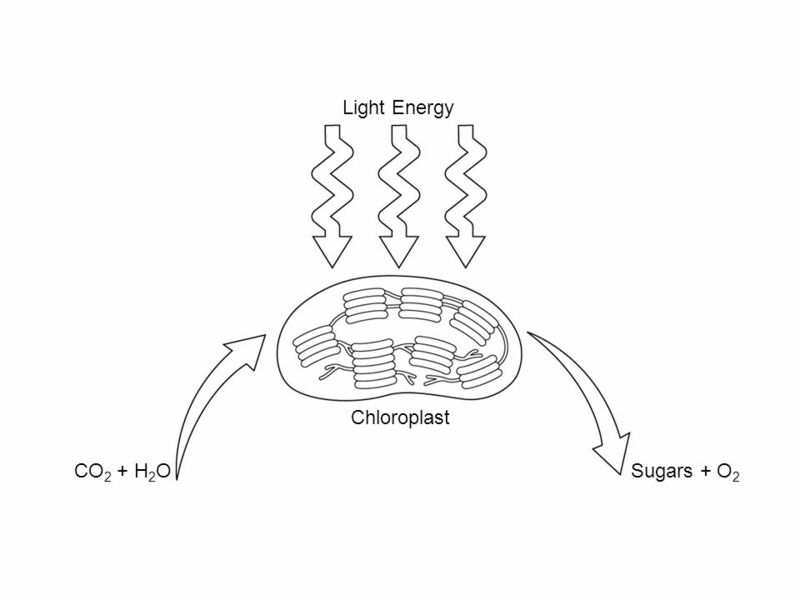 Recall that plants use light energy from the sun to make food. 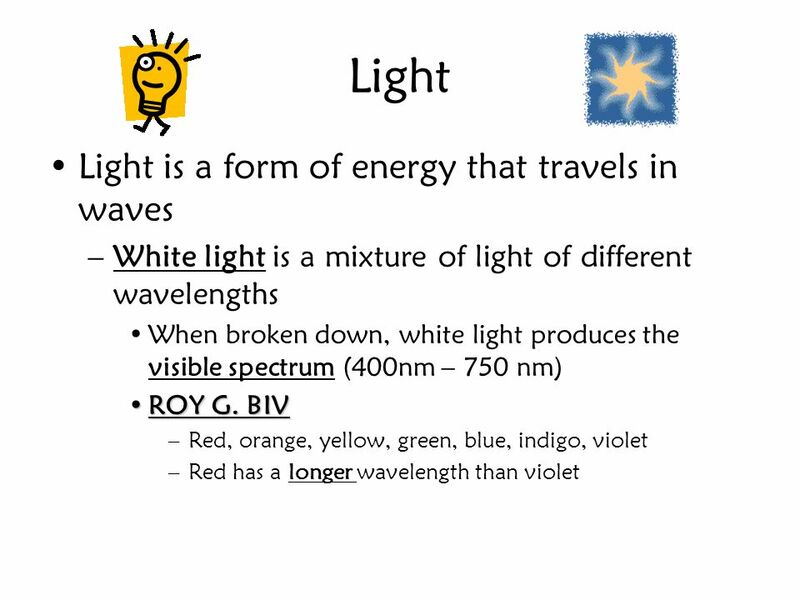 Into what kind of energy is the light energy converted by plants? 3. Most plants, no matter what size or shape they are, have some parts that are green. 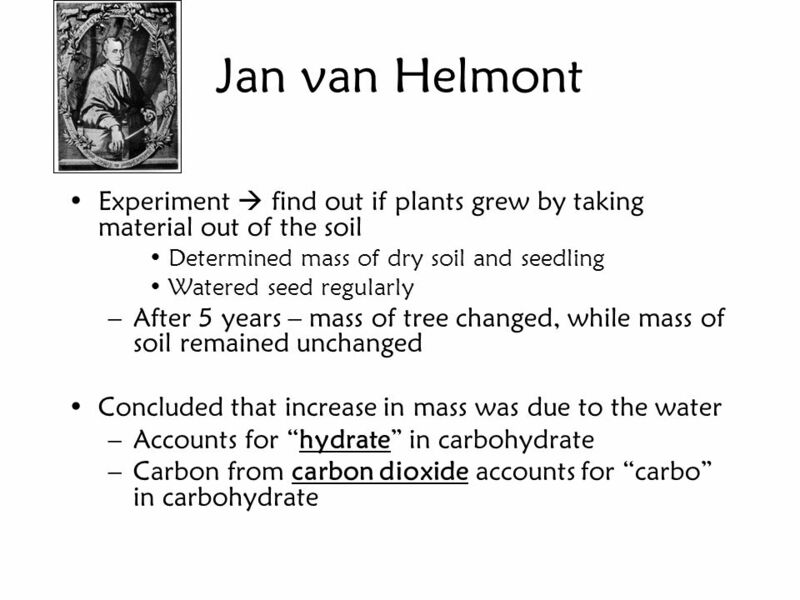 Which parts of a plant are usually green? 4. 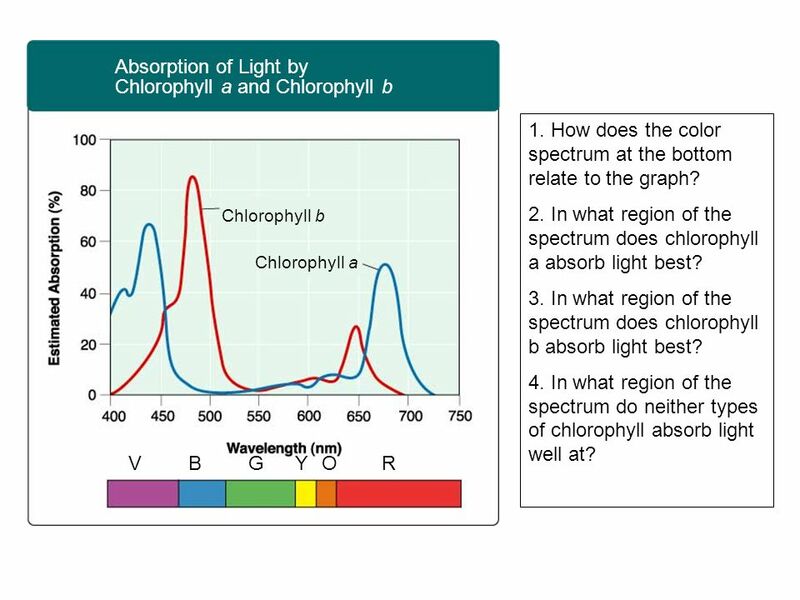 What does the green color have to do with the plant’s ability to convert light energy into the energy found in the food it makes? 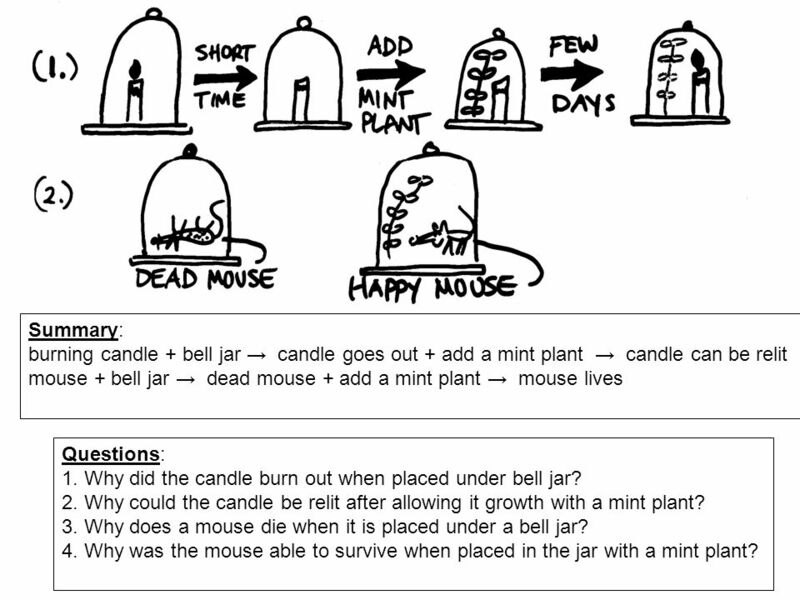 9 Summary: burning candle + bell jar → candle goes out + add a mint plant → candle can be relit mouse + bell jar → dead mouse + add a mint plant → mouse lives Questions: 1. Why did the candle burn out when placed under bell jar? 2. 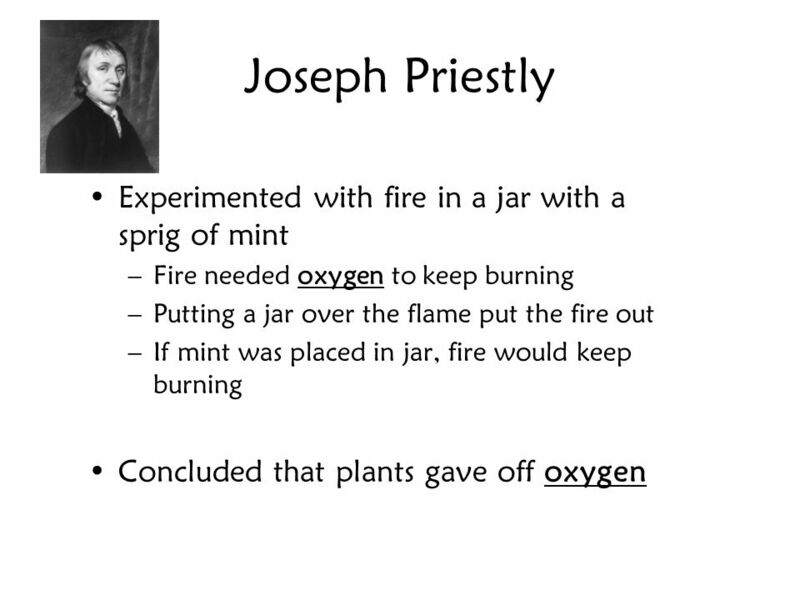 Why could the candle be relit after allowing it growth with a mint plant? 3. Why does a mouse die when it is placed under a bell jar? 4. 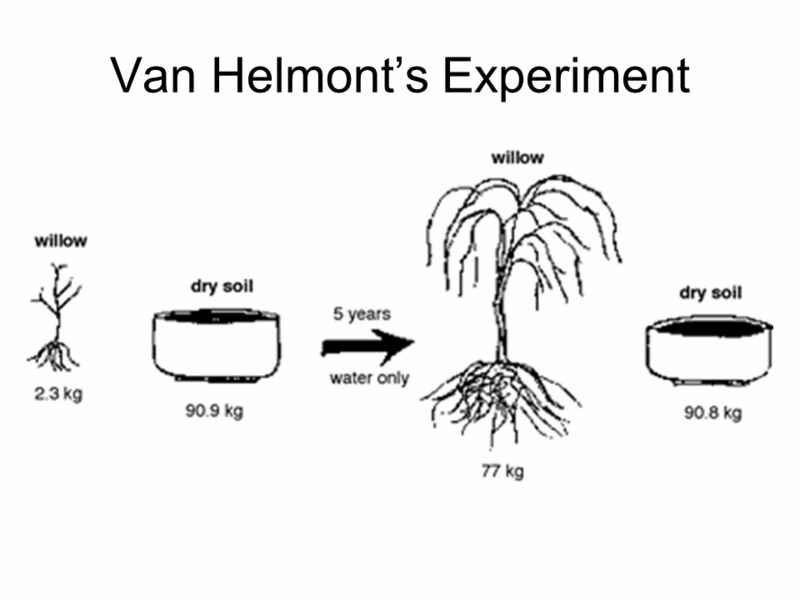 Why was the mouse able to survive when placed in the jar with a mint plant? 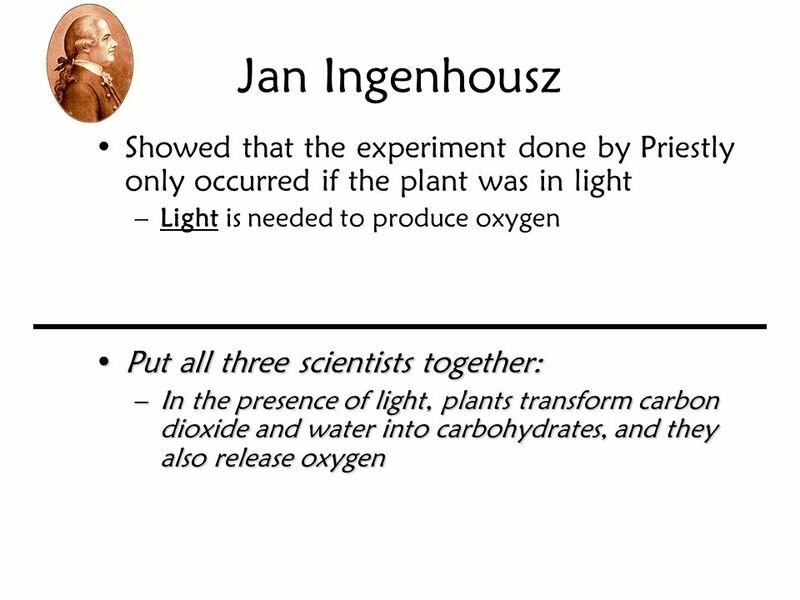 Download ppt "Trapping Energy Interest Grabber Section 8-2"
8-2 Overview of Photosynthesis Biology I. Photosynthesis Photosynthesis – process by which plants and some other organisms use light energy to convert. 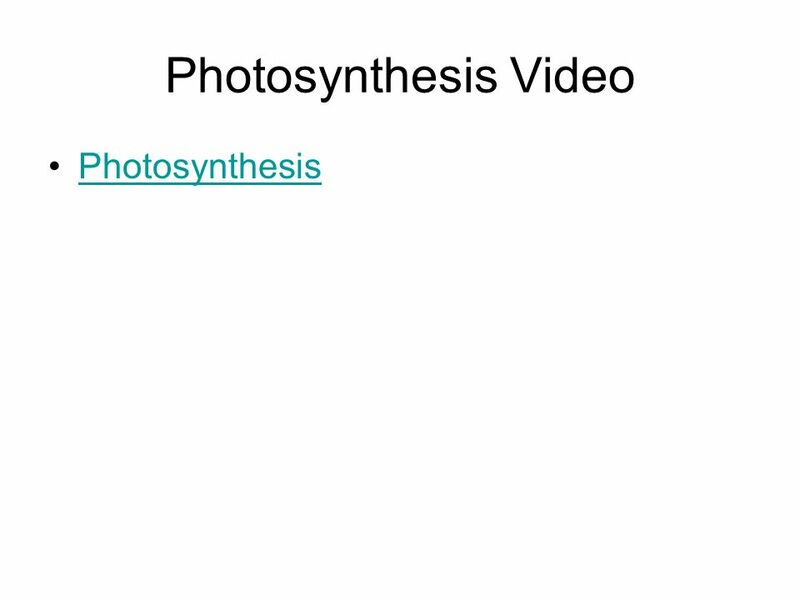 End Show Slide 1 of 28 Copyright Pearson Prentice Hall 8-2 Photosynthesis: An Overview. Saving for a Rainy Day Suppose you earned extra money by having a part-time job. At first, you might be tempted to spend all of the money, but then you. Where does the energy for living things come from? 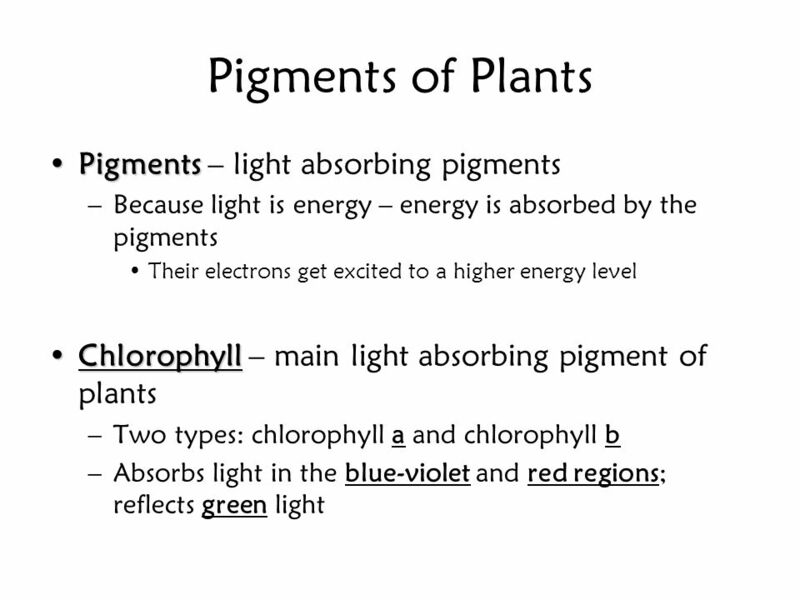  Autotrophs – make their own food Plants and other organisms (like algae) can use light energy from. 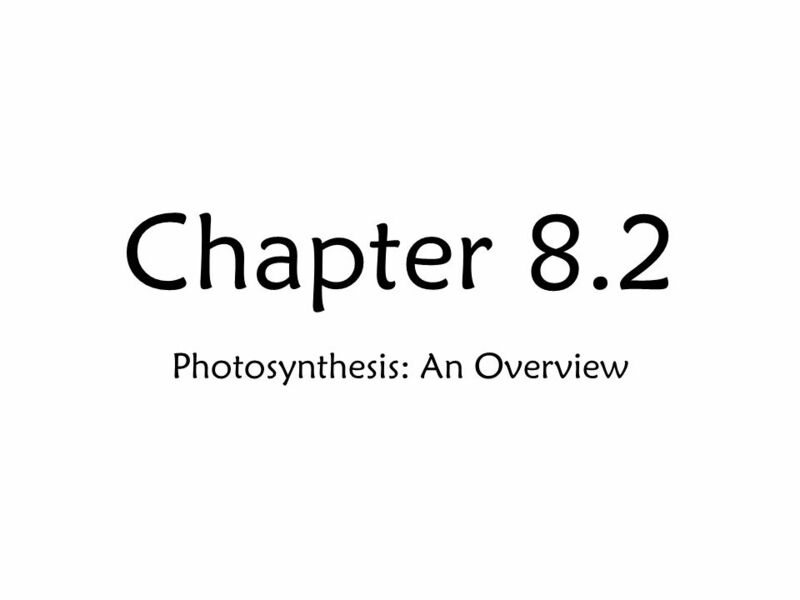 Photosynthesis Chapter 8. Where does all of our energy come from? Bell Ringer (1 of 2) 1.Identify each form of transport as passive or active: Pinocytosis Facilitated Diffusion Exocytosis Osmosis Simple Diffusion Phagocytosis. Photosynthesis. Energy is the ability to do work Living things depend on energy. 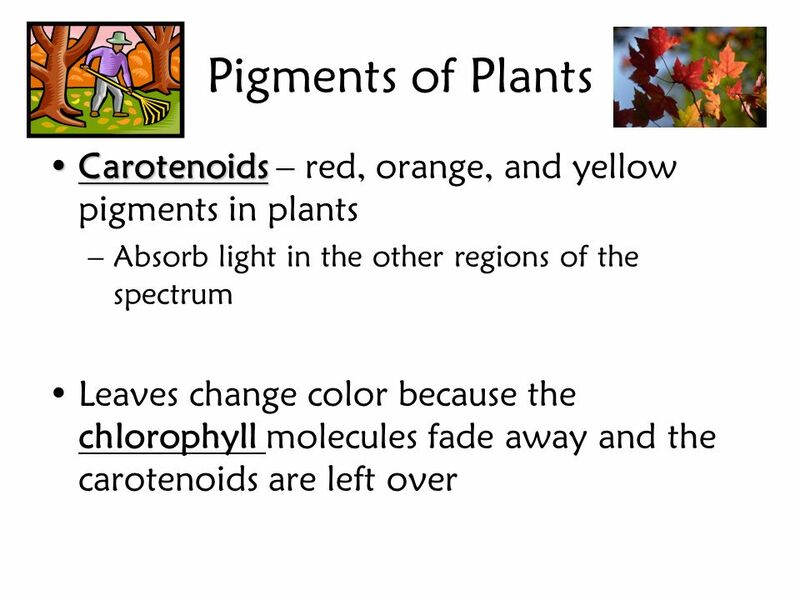 Organisms that make their own food = autotrophs Plants and some other. 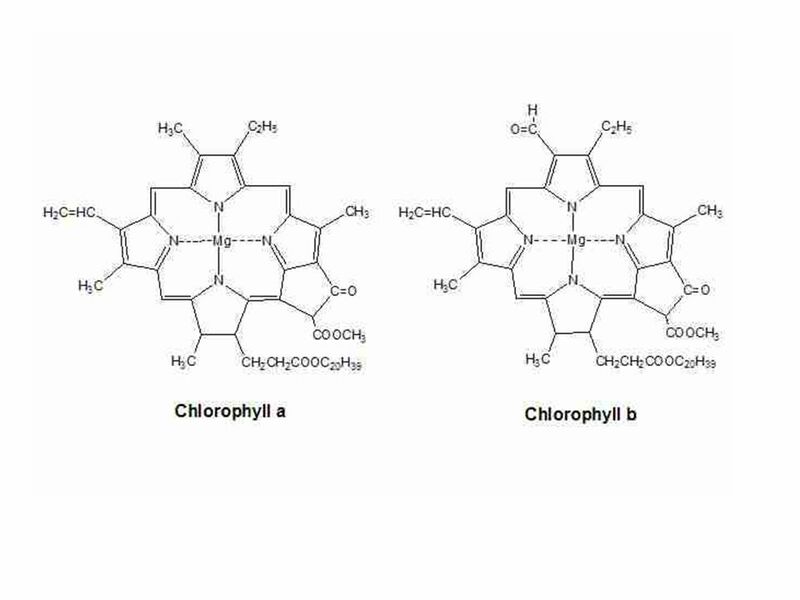 The Basics of Photosynthesis By: Candace Thibodeaux. 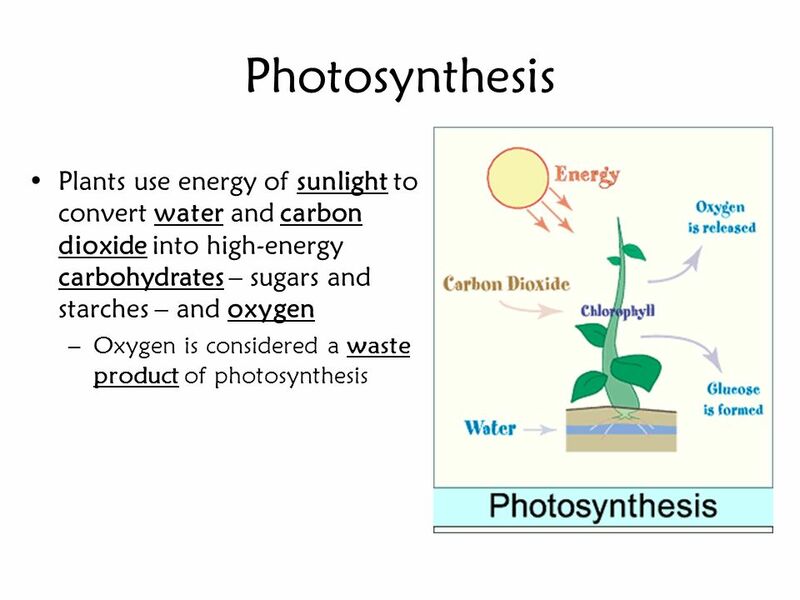 Introduction to Photosynthesis Objectives Discuss energy flow through living systems Identify the parts of a leaf Outline the process of photosynthesis. The sun allows life on earth to exist. 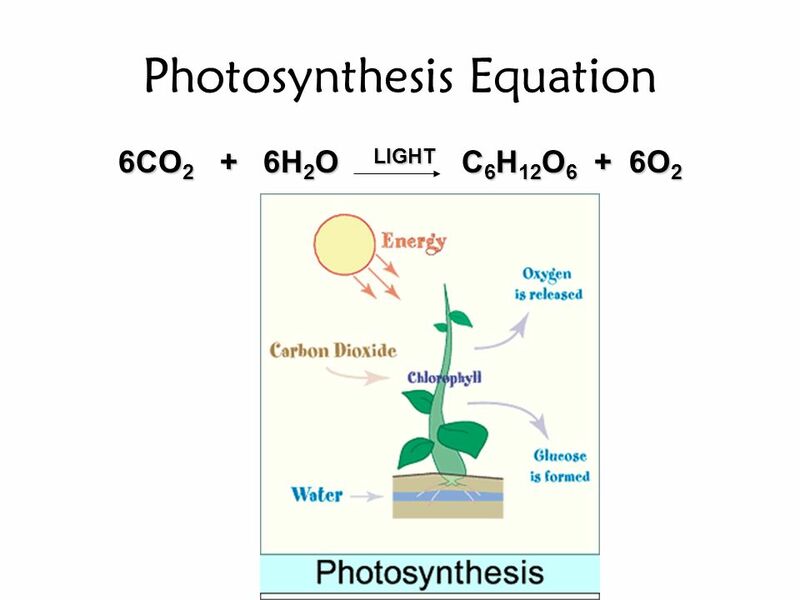 Photosynthesis –Is the process that uses solar energy to convert water and carbon dioxide into chemical energy.